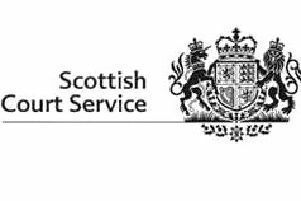 Sexual crimes have increased in East Renfrewshire amid increased reporting of historical crimes. But the area’s top cop, Chief Superintendent Brian McInulty, has revealed that detection rates have fallen because officers are having to wade through piles of complex investigation work. It comes as the number of serious assaults rose by 90 per cent while drug-related crime was up by 47 per cent. Police Scotland confirmed that crime rates across the local authority had fallen overall and highlighted work to combat anti-social behaviour and housebreakings. In a report, the Chief Superintendent said: “I remain totally focused on doing everything possible to drive down crime and maintain record high levels of detections. “There has been a 19 per cent reduction in the total number of crimes of violence, however, analysis highlights that despite serious assaults increasing, common assaults have decreased and there has been a significant reduction in robberies against last year’s figures. CI McInulty highlighted an incident in Overlee Park in which three males were allegedly assaulted. He said police had arrested two males in connection with that. He also revealed that more than 5kg of cannabis had been recovered at a house in Newton Mearns, with two further hash cultivations disrupted since August. 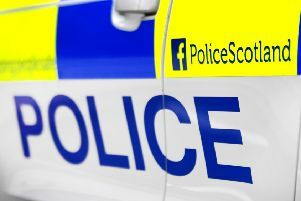 Arrests were also made in connection with the suspected drug deaths of two brothers in the Newton Mearns area. The number of domestic abuse crimes fell from 142 to 124 – down 12 per cent – while detection rates remained at 66 per cent. And sexual crimes rose from 41 to 77 but detection rates fell from 53 per cent to 44 per cent. CI McInulty added: “There has been an increase in the reporting of sexual crimes which is partly due to the continued trend of victims having the confidence to come forward and report ongoing and historical incidents. “We have a dedicated team of officers within the division who investigate these incidents, which are invariably complex and often protracted in nature. “We are absolutely committed to tackling online child sexual abuse.